1. Obama's foreign policy. President Obama pushed back against critics of his record and outlined his vision for how the U.S. should deal with global challenges. In a commencement speech at the U.S. Military Academy at West Point, the President said America will be the "one indispensable nation for the century to come," and should never shy away from military action when necessary. But he also told those attending the graduation ceremony that "U.S. military action cannot be the only – or even primary – component of our leadership in every instance." Obama urged Congress to support new fund that would focus U.S. efforts on counter-terrorism efforts in the Middle East and Africa. 2. Edward Snowden. The NSA leaker tells NBC News he was a trained spy for the National Security Agency and the CIA. "I was trained as a spy in sort of the traditional sense of the word in that I loved and worked undercover overseas, pretending tow work in a job that I’m not and even being assigned a name that was not mine. But I am a technical specialist," Snowden said in the interview. A senior U.S. intelligence official told CNN that Snowden was "not a covered intelligence officer. Edward Snowden has been living in Moscow under asylum for nearly a year after leaking thousands of secret documents detailing the U.S. government’s massive domestic surveillance program. 3. Hillary Clinton's book rollout. In a Facebook video, the former secretary of state and potential 2016 presidential candidate talked about what to expect in her upcoming memoir "Hard Choices." She said the book would will give readers insight into her relationship with President Obama as well as her views on America's standing in the world. "At the time I became Secretary there was a fairly strong current of thinking that United States was in decline," Clinton said in the four-minute video. "Now, I have lived long enough to know that that periodically surfaces – and academics and commentators and others start talking about the United States declining. I didn't believe it then and I don't believe it now." "Hard Choices" hits bookstores June 10. 4. Maya Angelou. The award winning author, poet and activist has died at the age of 86. Born Marguerite Annie Johnson, Angelou's gained fame with her best-selling 1970 autobiographical novel "I Know Why the Caged Bird Sings." Angelou was a Professor of American Studies at Wake Forest University and penned the poem "On the Pulse of Morning," which she read at Bill Clinton's 1993 inauguration. In 2011, she was awarded the Presidential Medal of Freedom by President Obama. Both the current and former president praised Angelou. "Like so many others, Michelle and I will always cherish the time we were privileged to spend with Maya. With a kind word and a strong embrace, she had the ability to remind us that we are all God’s children; that we all have something to offer," Obama said in a statement Wednesday. "With Maya Angelou’s passing, America has lost a national treasure; and Hillary and I, a beloved friend," Clinton said. 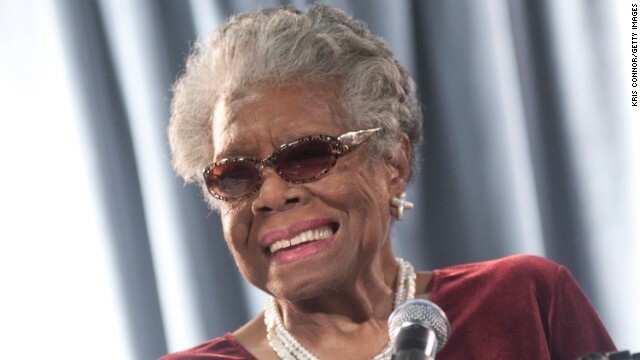 A number of congressional Republicans and Democrats also remembered Angelou in tweets.